Capitalism made America great and I’m a big supporter if we keep certain restraints in place. 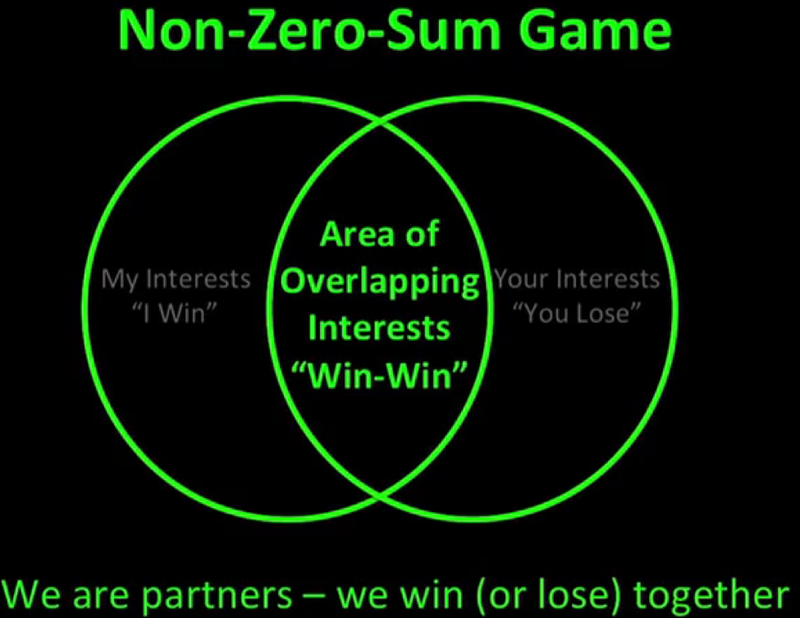 But it is not, as frequently contended, a zero-sum game. 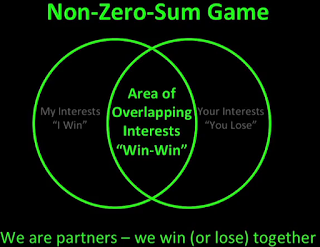 Zero-sum is defined in admittedly simplified economic theory as when one entity (market-exchange, corporation, political party or poker game) wins, another loses in equal amount. Hence the sum is zero. Which is fine for the stock market, where someone sells at a profit and someone else buys at a loss. But that doesn’t happen in a steeply rising (or falling) market. In a rising market, everyone gets a profit. But as we witnessed when the market took a dump out behind the shed, everyone doesn’t lose on the way down. In the recent too big to fail bailout, banks got paid for crap-loans and investor losses (in large, but not all) got covered by investment banks. The little guy (in big numbers) lost one or more of the following: his home, job, health insurance, car, credit-cards, sanity and/or sense of purpose. The unemployment rate is far closer to 25-27% than the reported 5.7%. But capitalism as we practice it today in a consumer-driven society has a third party at the table. The consumer. They’re not thought about or considered much, but they’re an entity as well and that’s when the zero-sum theory begins to fall apart. Essentially, there is no market without consumers. Pretending that the stock market is the only market is simply a false premise. People and companies who buy things are the third leg of capitalism. Way down at the bottom of the process, someone has to buy. So when we look at the Dow Jones stock average nearly doubling since 2008 and convince ourselves the economy is fine, we’re whistling past the graveyard. Consumer spending is way down because the average Joe on the street has had his legs kicked out from under him and simply hasn’t the disposable income to buy stuff. He’d love to consume and in many cases needs to consume, but the dough simply isn’t available. June 20, 2013 (Bloomberg) – The Capitalist’s Case for a $15 Minimum Wage The fundamental law of capitalism is that if workers have no money, businesses have no customers. That’s why the extreme, and widening, wealth gap in our economy presents not just a moral challenge, but an economic one, too. In a capitalist system, rising inequality creates a death spiral of falling demand that ultimately takes everyone down. Banks are taking it on the chin as well. Bank of America is taking a hit on defaults in mortgages, auto loans, student loans and credit-card debt. These people don’t want to lose their cars and homes, nor do their sons and daughters want to default on the loans that enabled their education. But jobs at wages that can keep them afloat are simply not there. The American economic miracle is in a death-spiral for working (and unemployed) Americans and the entire system as we knew it in the recent past is at risk. Nick Hanauer again: Beware, fellow plutocrats, the pitchforks are coming—for us. Nick Hanauer is a rich guy, an unrepentant capitalist — and he has something to say to his fellow plutocrats: Wake up! Growing inequality is about to push our societies into conditions resembling pre-revolutionary France. Hear his argument about why a dramatic increase in minimum wage could grow the middle class, deliver economic prosperity ... watch Nick on TED Talks. Until we get that third leg under the stool, Capitalism being a zero-sum game is out the window and we’re about to pay the cost of that.